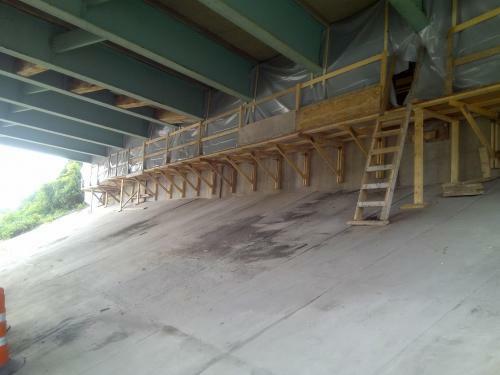 As a well-established industrial specialty contractor with the ability to complete projects from our shop in Maine to field locations as far south as Pennsylvania, we take pride in the high quality and the exceptional service we provide on every job. Our dedicated professional team is available to discuss your needs and provide quotations on your project requirements. Along with offering a comprehensive portfolio of services, Copia Specialty Contractors, Inc. can carry out a full and complete site survey and advise on any general maintenance and specialized coating requirements. 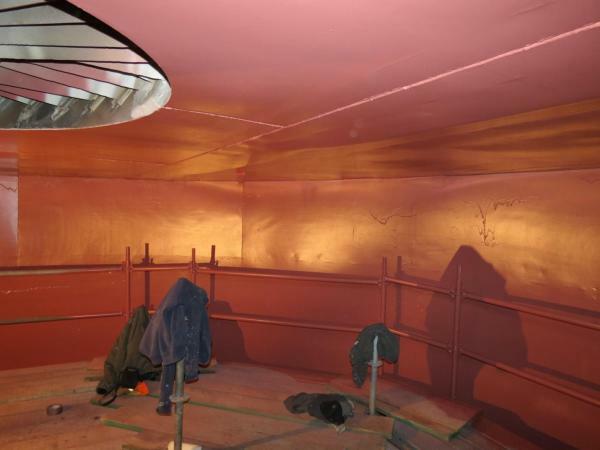 At Copia Specialty Contractors, Inc. have experience in a number of field painting projects such as: Industrial painting, Infrastructure painting, new construction, maintenance painting, lead paint removal, and Tank painting. With employees that have combined experience of 100 years plus, we provide a quality product that is backed by our rigorous Quality Control Program, which meets the highest industry standards. 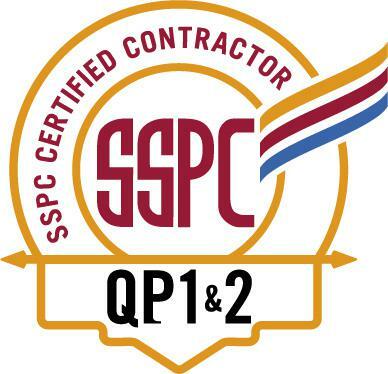 Copia Specialty Contractors, Inc. keeps current with new standards and continually trains its employees in the application/inspection of new coatings. 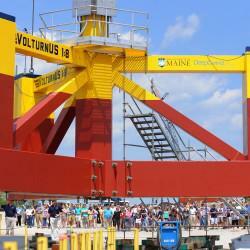 This first of its kind in the world “Floating Wind Turbine” was coated by Copia Specialty Contractors, Inc. This challenging job was done in the University of Maine composite research center without any impacts to other sensitive projects. Additional field work was done in the ship yard as final assembly required this work sequencing. 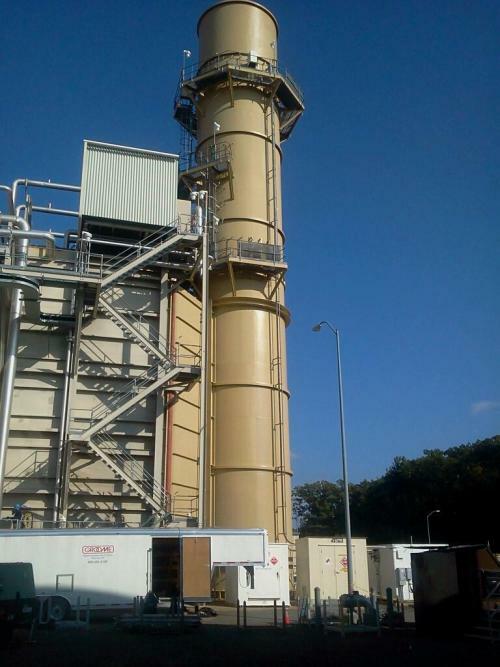 Recent projects include this 120 foot tall stack at a gas power plant located in western Massachusetts. This job challenges included getting the work done with in a very short outage. High winds and other crews working in our area made safety a real challenge but we finished on time with zero incidents. 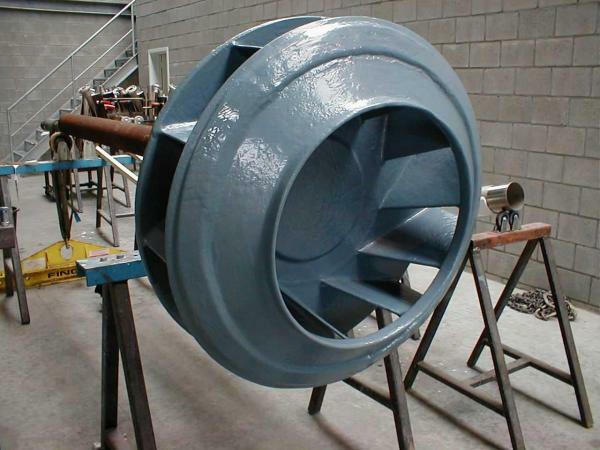 This is a pump volute roughly 8 feet wide, which was blasted and coated with a 2-coat epoxy system. Like this project, we do many OEM parts and can provide advice on what paint system is appropriate for the industry. Like this fan part Copia Specialty Contractors, Inc. has worked on some very delicate parts and has always left the customer satisfied. 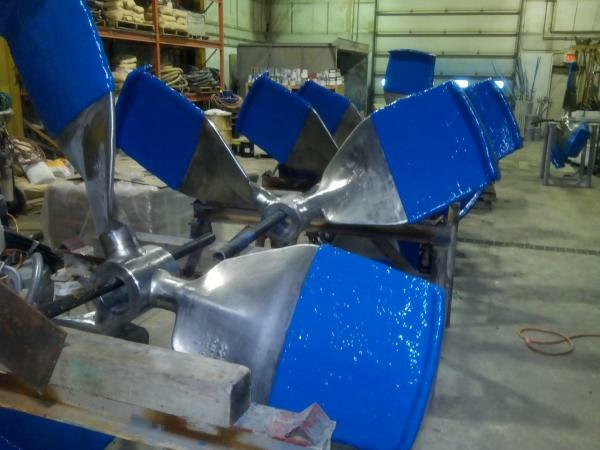 We take pride in all the work we do and take care of all projects that come in to our shop from the time it enters till the time we deliver it to you, per your specifications. From small, delicate parts to big tanks we have done it all. Copia Specialty Contractors, Inc. has done many projects from potable water to crude oil and pressurized holding tanks. In our shop we have the equipment to properly handle these tanks and parts for the care of our employees and the project. Copia Specialty Contractors, Inc. installs linings and Composites in the field as well as shop. We have years of experience working with many different manufactures. Our work types include stacks, scrubbers, tanks, sewer projects, OEM parts and aftermarket applications. Composites and linings include fiber, mineral, ceramic and other proprietary materials in a resin matrix. 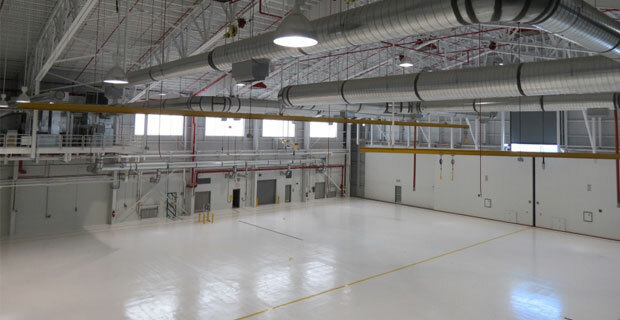 Copia Specialty Contractors, Inc. installs resinous floorings such as epoxy, urethane, MMA, and grout in warehouses, factories, and service bays that are specific to each environment to keep the floor protected and attractive. With more than 1,000,000 SF of floor installed we can offer a variety of styles, colors and textures to fulfill the needs of our customers. The services we provide include the preparation and installation needed for the selected product. We take all jobs personally and work with you to provide an end product that will make the environment safe and ready for a long-term use. During the installation, we take every precaution to ensure the environment around our work area is not effected by us. Our services stretch from Maine down through New England like this one located near Boston, Mass., which consisted of a 30,000sf floor with an existing flooring system on it. After grinding down to fresh concrete we then repaired the concrete and filled low spots. Working around 3 turbines we protected them and all the equipment and control panels surrounding them. The finish product being a Light Gray Chesterton product called 1000CS. Hanger floor located in Bangor, Maine was a 30,000sf floor with a white non-slip floor and painted walkways. Since this was a new structure after prepping the surface we sealed all joints with a flex material and laid the 3-coat system Note: Along with the floor of the hanger Copia also provided all the painting on the structural steel, piping, electrical, block and sheetrock walls. Also see Field Painting. This is an 8,000sf dealership service bay floor located in northern Maine where we installed a chemical resistant epoxy system. Not only is it sealed for easy cleaning of oils and lubricants but it also does not stain so your floor will look appealing to you and your customers for years to come. 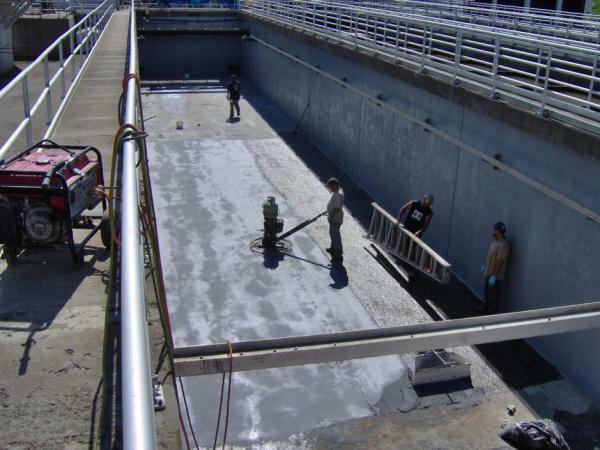 Copia Specialty Contractors, Inc. has done a wide array of Concrete repair projects such as: Expansion Joint Repair, Crack Injection, Secondary Containments, and Waterproofing. We at Copia tackle each and every one of these projects with the same amount of commitment, no matter the size. By providing such a quality product, the concrete that was in decline can be repaired to last another 10 years.